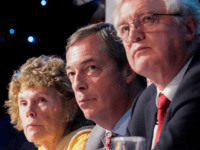 With over 100 MPs poised to block a No Deal exit from the European Union, former Brexit secretary David Davis has warned that Remain diehards risk throwing Britain’s parliamentary system into chaos. 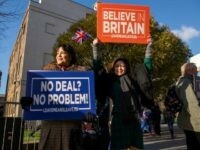 A number of pro-Brexit MPs have come out and said they will vote down Prime Minister Theresa May’s EU Withdrawal Agreement and dismantled ‘no deal’ scare mongering over a World Trade Organization exit. 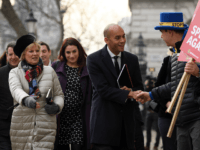 A group of senior Tory MPs including several former ministers have stepped up calls for the Brexit vote to be respected and for the United Kingdom to leave the European Union cleanly as the Commons prepares to vote on Theresa May’s compromise deal on Tuesday. 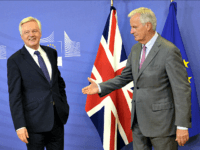 Former Brexit secretary David Davis has rejected EU assurances over the Irish backstop, saying that they are not enough and that the £39 billion divorce bill should only be paid on condition of a free trade deal with the bloc. 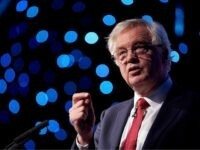 Former Brexit Secretary David Davis has said Britain should accelerate its preparations for a “No Deal” Brexit, explaining that trading with the European Union under default World Trade Organization (WTO) terms is far from a “doomsday scenario”. 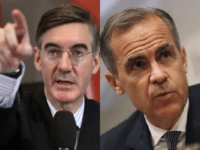 Leading Brexiteer Jacob Rees-Mogg MP has launched his most excoriating attack on Bank of England governor Mark Carney to date. 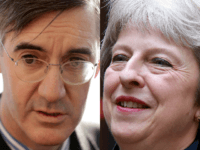 Rebel backbench leader Jacob Rees-Mogg and resigned Brexit secretary David Davis presented a paper addressing the “imagined” problems and roadblocks to Brexit Tuesday morning, which they said gives “practical answers” on how to leave the European Union without surrendering sovereignty. Former Brexit Secretary David Davis has said Parliament should be allowed to vote on Theresa May’s Brexit proposal as early as this week. 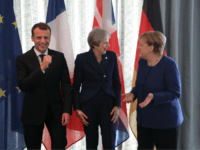 Hopes of escaping the Brexit in name only (‘Brino’) arrangements created by the European Union which would see the UK either in whole or in part bound indefinitely by EU laws were raised after the Prime Minister said a deal would not come at “any cost”. 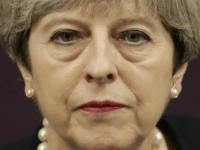 Theresa May’s time as Prime Minister may be coming to an end, with MPs telling her to “bring her own noose” to a crunch meeting on Wednesday as former Brexit Secretary David Davis sets out his leadership stall. 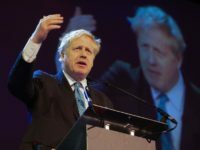 Boris Johnson, David Davis, and Jacob Rees-Mogg have penned a joint letter to Theresa May warning her that the public “will not forgive” the Tory Party if it sticks to her Chequers plan for Brexit. 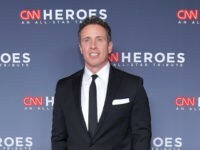 LONDON (AP) – Britain’s former Brexit secretary is urging members of Prime Minister Theresa May’s Cabinet to rebel against her proposed deal with the European Union over the terms of Britain’s departure from the bloc. 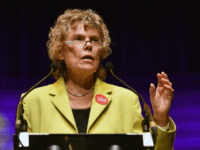 MEP Nigel Farage, Labour MP Kate Hoey, and Conservative former Brexit Secretary David Davis launched the “rebirth of the People’s Army” to stop the “betrayal” of Brexit. 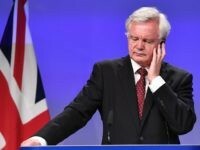 Former Secretary of State for Brexit David Davis has branded Theresa May’s Chequers blueprint for an ultra-soft Brexit “almost worse than being in” the European Union. 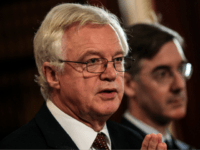 Former Brexit Secretary David Davis has had harsh words for Chancellor Philip ‘Remainer Phil’ Hammond’s latest anti-Brexit intervention, branding the Treasury “disgraceful”. 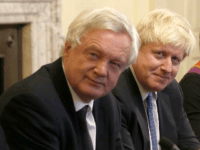 Boris Johnson is being urged to back former Brexit secretary David Davis as an “interim” prime minister in a Tory plot that could oust Theresa May as early as October. 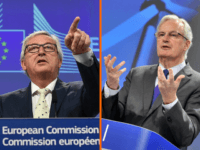 EU chief negotiator Michel Barnier badly damaged Theresa May’s credibility on Friday, confirming that her concession-laden Chequers plan for Brexit continues the supremacy of the EU court. 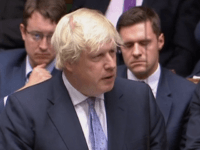 Former Foreign Secretary Boris Johnson has made his highly-anticipated personal statement to the House of Commons, criticising the Prime Minister’s vision for Brexit, calling it a “Brexit in name only”. 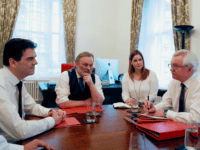 Theresa May’s top adviser Olly Robbins, accused of pushing for a “soft Brexit”, has purged the Brexit department of 50 of its best negotiating staff following the departure of the pro-Brexit minister David Davis. Steve Baker MP, who resigned from the Department for Exiting the European Union (DExEU) after Secretary of State David Davis over Theresa May’s ultra-soft Brexit plan, has revealed that the whole department is a sham, and claimed the “establishment elite” are working to overturn the EU referendum. 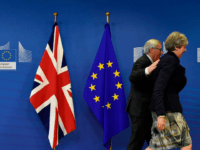 Steve Baker, who resigned from the Department for Exiting the European Union shortly after Secretary of State David Davis, has slammed Theresa May’s ultra-soft Brexit plan and the Remainer establishment. 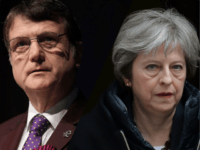 UKIP leader Gerard Batten has called on Theresa May to stand down as Prime Minister after she unveiled her proposed plan for a soft Brexit and following the resignation of her Brexit secretary David Davis. 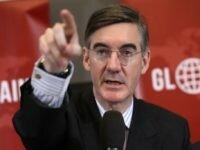 Leading Brexiteer and chair of a Eurosceptic group of MPs Jacob Rees-Mogg will, if it continues as stated, vote against the Prime Minister’s Brexit plan, in a revelation of growing back-bench discontent that came as Brexit Secretary David Davis was handing his resignation to Theresa May. 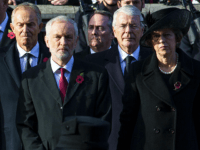 Brexit is dead – strangled at the weekend by Prime Minister Theresa May and her cabal of Remainer cronies. 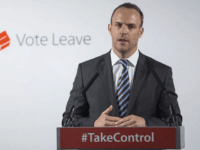 Commons Committee on Exiting the European Union member and housing minister Dominic Raab has been chosen as the replacement for David Davis, the senior Brexiteer who stood down from his position as Brexit Secretary in Theresa May’s cabinet Sunday evening. 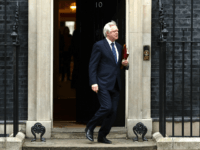 Brexit Secretary David Davis resigned from Theresa May’s government late on Sunday night, followed swiftly by junior ministers Steve Baker and Suella Braverman. 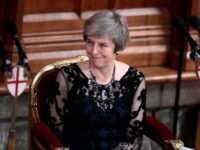 The Prime Minister is suspected of moving to sideline or even abolish the Brexit department, because it is too openly pro-Brexit, as the Brexit secretary warns her against abandoning a clean exit from the bloc and pushing to stay tied to its rules. 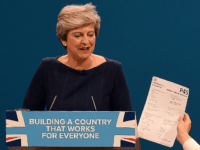 The Prime Minister has said she cannot “guarantee” there will be a firm limit to the UK staying tied to the EU’s customs rules, the day after reassuring Brexiteers on the topic to avert a cabinet rebellion.